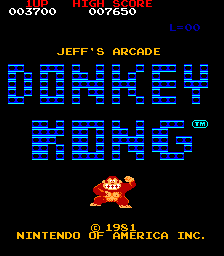 Why, oh, why wouldn't they put a freeplay mode in Donkey Kong? Man, this was seriously missing. And who wants to keep flicking that coin chute? Finally, no quarters on a string, no straw stuck in the coin door, no pop bottles under the buttons. Freeplay with a ROM swap. Say no more. 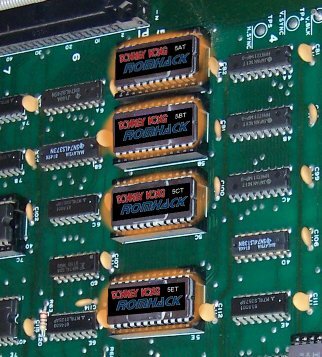 Donkey Kong Foundry works with both the 2- and 4-board versions. Supports the US Version so the barrels will roll down the ladder when Mario is on it.